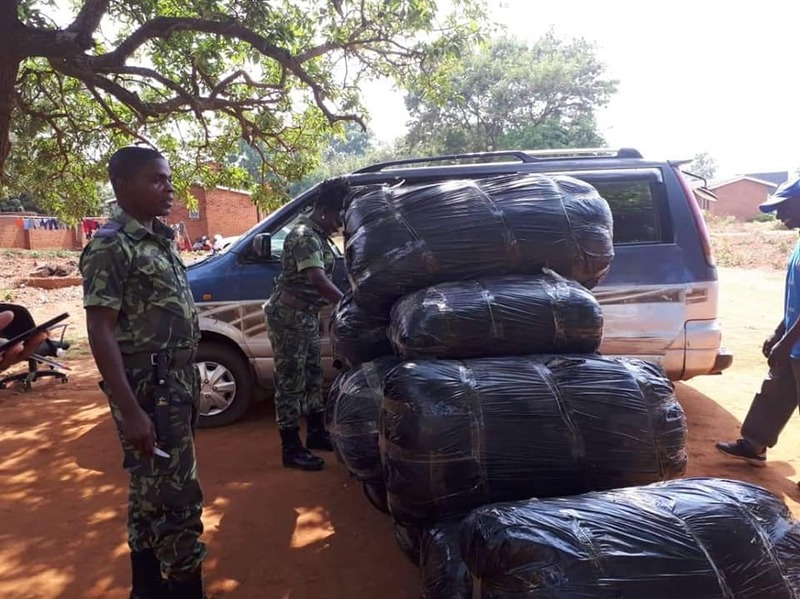 Malawi Revenue Authority (MRA) Monday handed over 11 wrapped bags of Indian hemp locally known as Chamba which were seized during routine night patrols to Lilongwe Police station for further action. MRA Manager for Flexible Anti- Smuggling Team for Central Region, Queen Nkhata told reporters at Lilongwe Police Station that they managed to seize the bags on November 1, 2018 during the routine patrols in the district. She said during night patrol they stopped a car Toyota Noah registration number BQ 2498 around 9 pm but the owners of the vehicle jumped out and left to unknown destination. “We conducted our routine inspection on the car and we discovered that they were carrying the bags of Indian hemp but we failed to identify the owner of the vehicle. We kept the car for three days in an anticipation that the owner will come to claim their vehicle but have not done so,” Nkhata explained. She said the bags and the vehicle have been handed over to Police for them to proceed with the investigation to find the owner of the vehicle since they (MRA) are not investigation and prosecution agency. She said the patrols have revealed that some people are using uncharted routes to avoid paying taxes and transport illegal goods such as Chamba. Lilongwe Police Station Public Relations Officer (PRO), Kingsley Dandaula said Police would take up the matter in order to establish the owner of the illegal drug and possible arrests would be made. He said the impounded vehicle has no Certificates of Fitness (CoF) and Insurance displayed on the wind screen apart from a photocopy of driving license of a driver named, John Kalitsiro. “Our investigation will involve the road traffic office to ascertain the ownership of the vehicle using the registration number.” Dandaula pointed out. He said a case would be opened since the vehicles owners have committed a crime of carrying the hemp which is contrary to the country’s law prohibiting anyone to possess, own, carry or sale Indian hemp. “We will take the bags to Chitedze Research Station for them to examine and confirm the product as Indian hemp and find out how much the bags are weighing since they are just wrapped in plastic bags,” the PRO added.